Steve Pritzker, PhD, director of the Creativity Studies program, Co-Editor-in-Chief of the Encyclopedia of Creativity and President-Elect of APA’s Division 10 (Psychology of Aesthetics, Creativity and the Arts), who led a symposium on Art As Healer—Preschoolers to Seniors to Society at Large. Louis Hoffman, PhD, director of the Existential, Humanistic, and Transpersonal Psychology program and president of the Society of Humanistic Psychology (APA’s Division 32), presented a paper on existential therapy and creativity in China, along with fellow Saybrook faculty members Shawn Rubin, Steve Pritzker, Louis Hoffman and Jason Dias. For a partial look at more of Saybrook faculty and student’s involvement at the APA convention, please see below. Existential therapy, culture, and therapist factors in evidence-based practice by Heatherlyn Cleare-Hoffman, Louis Hoffman, & Sivan Willson*. The meaning and history of Junkanoo for Bahamian culture (Poster) by Heatherlyn Cleare-Hoffman & Louis Hoffman. Existential therapy and creativity in China (Poster) by Heather McQueen*, Shawn Rubin, Steve Pritzker, Xuefu Wang, Richard Bargdill, Louis Hoffman, & Jason Dias. Demonstrating existential and humanistic therapy’s evidence-based foundation for your practice: A workshop by Louis Hoffman, Janelle Clark*, Marilyn Franklin*, Gena Clark*, Aimee Henson*, Abraham Lopez*, Tjuana Smylie*, Tiffany Washa*, & Sivan Willson*, (Society for Humanistic Psychology (APA Division 32) Hospitality Suite. Thursday, Aug. 1: 4:00 to 5:50. Humanistic psychology speaks: The division president’s town hall meeting on horror (Conversation Hour); Frank Farley & Louis Hoffman (co-chairs). Relational factors, culture, and religious experience in clinical practice by Louis Hoffman, TJ Smilye*, & Sivan Wilson*. Existential issues in trauma: Assessment and treatment by Louis Hoffman, Heatherlyn Cleare-Hoffman, & Lisa Vallejos*. Multiculturalism, epistemological diversity, language: Embracing poetry and science to advance psychology (Society for Humanistic Psychology [APA Division 32] Presidential Address). In Search of Beauty: An Investigation Inspired by Rollo May poster presentation by Kristina R. Wibbens. Donald Moss chaired the Awards session for Division 30, the Society for Psychological Hypnosis. 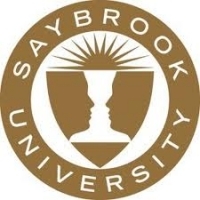 The session will include presentations by: Guy Montgomery, recognized in 2012-2013 for Distinguished contributions to the Science of Hypnosis, Mark P. Jensen, recognized in 2011-2012 for Distinguished contributions to the Science of Hypnosis; Darlene Viggiano (Saybrook MBM faculty and psychology alumna) recognized in 2011-2012 for Early Career Contributions to the Field of Hypnosis; and Stephanie Scholze, recognized in 2012-2013 for Early Career Contributions to Hypnosis. Symposium: “Defining Hypnosis.” Presented with Eric Willmarth. Workshop: “The Need for Supplementary Mind-Body Interventions in PTSD Treatment,” and “The Use of Heart Rate Variability Training for Trauma: What Do We Train?” Co-presented with Constance Dalenberg. Skill-building session: “The Integration of Hypnosis and Biofeedback in Pain Management.” Co-presented with Eric Willmarth. Skill-building session: “Clinical Perspectives on Heart Rate Variability in Biofeedback and Hypnosis.” Presented with Eric Willmarth.